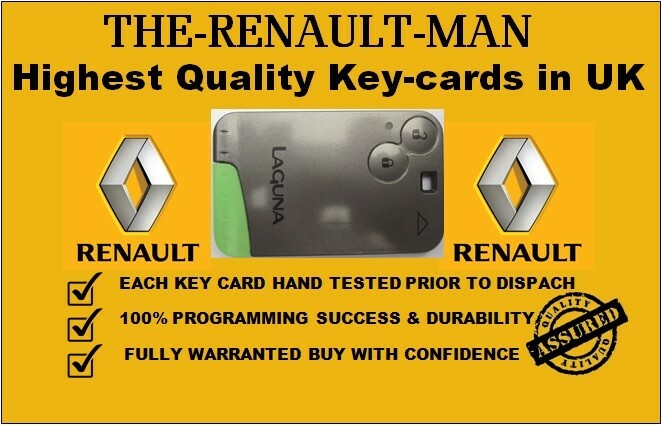 Is your Key card not detacted? 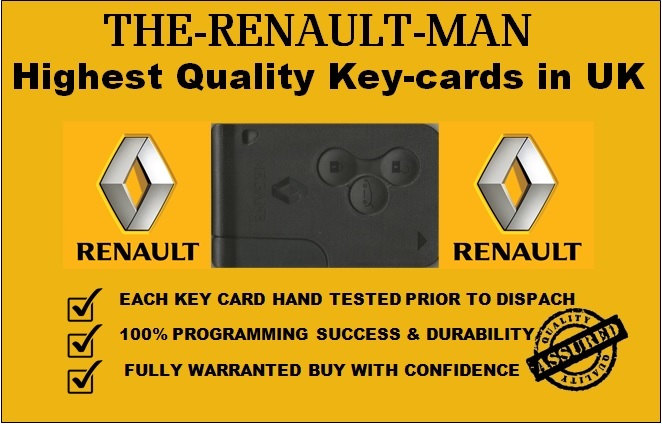 Is there a Replace Battery message on your car? Is the Lock/unlock not working? 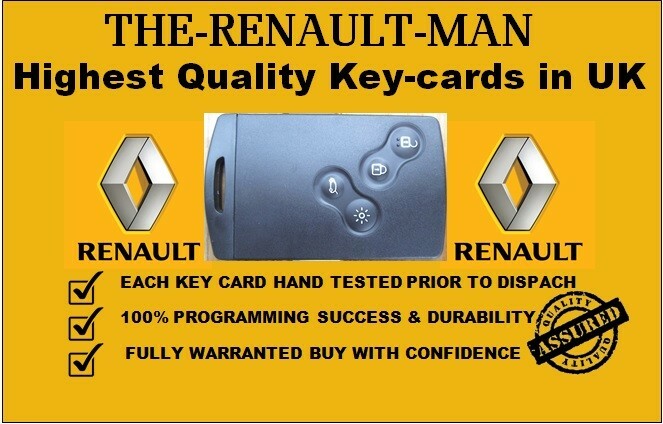 We can come to you anywhere in the UK and supply and program a brand new key card to your car within minutes much cheaper than Renault who have to order the key card from France which takes 10 days and then you must take the car to them, all key cards and work undertaken carries a full 12 month warranty.